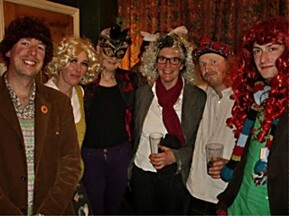 Watch out, you saw it here first, the new look for the Wobage tutors for 2011! Thank you to all Wobage students and Makers Gallery customers who have supported us in 2010. It has been a most rewarding and enjoyable year. Some great students and some inspirational fired pots to match, through the season of Summer courses and the full year of evening classes. Here’s wishing you all a very Happy Christmas & New Year and our best wishes for a successful 2011. 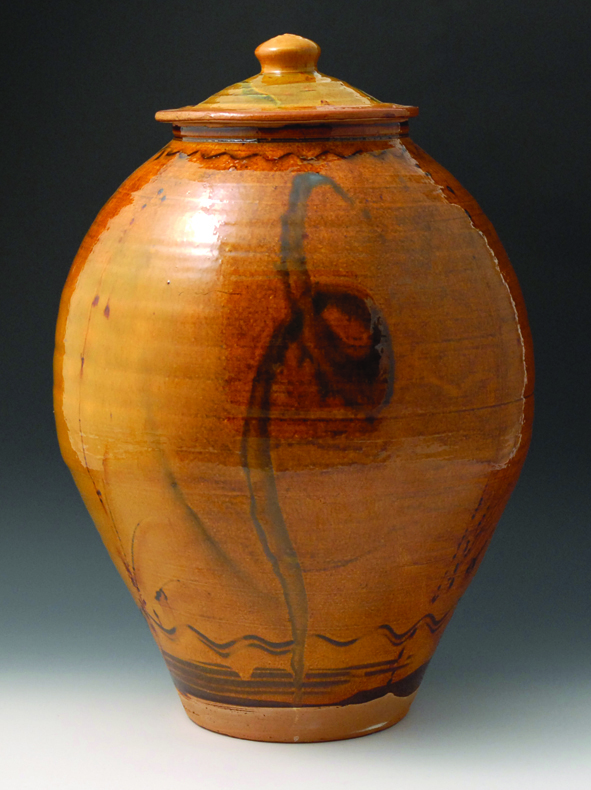 A reminder that Wobage Makers Gallery is officially closed for January and February. However, we shall all be grafting away at the Workshops through the harshest of inhospitable Winter conditions. Our greatest inspiration……. a recently insulated throwing studio and new wood-stove! So if you need to buy a gift or fancy a New Year treat for yourself from the newly refurbished gallery, please don’t hesitate to ring and make an appointment to visit. ….for the Wobage pottery christmas party, thank you to our hosts Graham and Linda at the Alma Inn in Linton. The Wobage course programme for 2011 is now live with some new additions promising to make for a busy and exciting Summer. 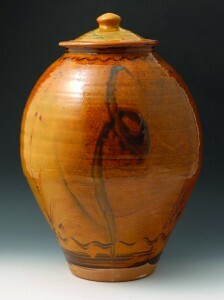 Clive Bowen visits the 5 day jar-making course for two days of demonstration and tuition. Designer maker Tavs Jorgensen leads a plaster workshop with hot trade tips on profiling & sledging hump moulds. Josh Redman demonstrates his inimitable techniques in softly thrown sculptural pot-making on a new long weekend workshop suitable for all levels of ability. For full details, prices and availability, please browse our course pages.